This article was originally published on the SEMRush blog. Influencers are becoming just as influential as recommendations from family and friends, especially for younger people. According to an Experticity report, 82% of consumers are “highly likely” to follow a recommendation made by a micro-influencer, and Twitter discovered 40 percent of users purchased a product after they saw one of their favorite influencers using it on Instagram, Twitter, Vine or YouTube. If you are excited about the prospects of influencer marketing, you are not alone. Far from it, in fact. Influencer marketing is exploding in growth, and influencer inboxes are overflowing with pitches from brands as a result. That means the ball is in your court. It is up to you to impress an influencer and make them want to work with you. So how do you stand out from all the other brands in their inbox? It’s simpler than you think. You need to start involving influencers instead of pitching them. The difference between pitching and involving is often one of mindset: stop thinking of your influencer as a means to an end, as a tool that helps you achieve your marketing goals. Influencers are people. They are human. That humanity is what makes them so powerful when it comes to reaching your customers. It is also what can make or break your partnership. Think of your relationship with your influencers as a business development relationship. Stop being selfish. Map out the influencer’s own goals, and how your partnership can align with those. 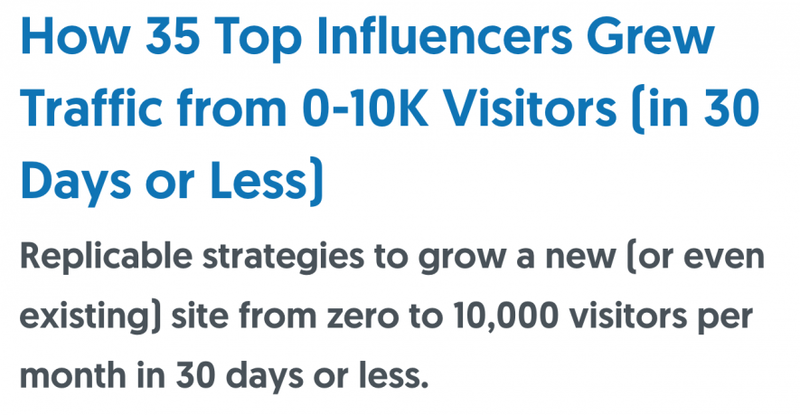 Take a look at this list of common influencer goals below. When you seek out potential influencers for your brand, consider which of these goals seem to be motivating a particular influencer, and ask yourself how your brand can help them get there. To be seen as thought leaders. To be associated with brands they like and respect. To provide value for their readers. To contribute to a cause or mission they believe in. You also need to be thoughtful of your own goals for your influencer marketing program. Are you hoping to build goodwill by aligning yourself with well-liked influencers? Seek out popular influencers who avoid controversial topics. Are you a modern or recently updated brand who wants to be on the cutting edge of your industry? Target influencers who specialize in breaking news. Do you want people to engage with the influencer’s post about your brand, or simply build brand awareness? If engagement is more important than eyeballs, a smaller influencer may make more sense. 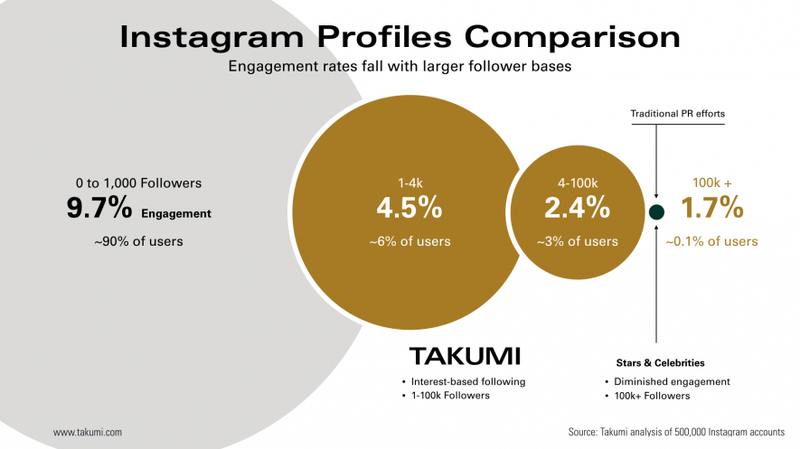 Instagram influencer marketing platform Takumi found that micro-influencers (with followers in the thousands) significantly outperform mega influencers when it comes to engagement. A study by influencer marketing platform Takumi. Finally, think about where your audience lives and where the influencer reigns. Make sure your target audience uses the social media platform of your influencer’s choice. For example, it may not make sense for a B2B consulting firm to work with a Snapchat star. Truly successful influencer marketing programs let the influencer do what they do best. Influencers already know what works with their audience. Don’t risk straining the relationship by imposing too many guidelines or restrictions. Do your best to find an influencer who aligns with your brand values, and then let them have creative control. This goes back to the idea of viewing your relationship with the influencer as a partnership. Partnerships are based on equality, cooperation, and mutual respect. You bring a quality product, money, and the legitimacy of a corporation. The influencer brings their creative voice and access to a community of potential customers. Work together — better — by leveraging your unique capabilities. 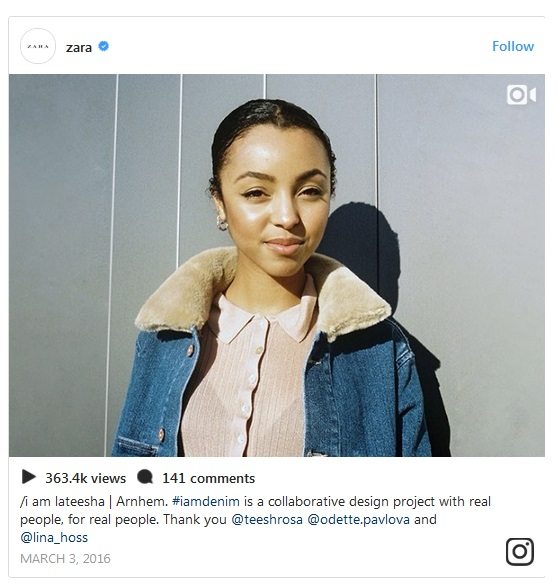 For example, clothing brand Zara wanted more people to realize how accessible their brand could be. Their catalogs typically rely on high fashion images, but they reached out to Instagram fashionistas to promote their #IAmDenim campaign. They encouraged the Instagrammers to promote the “realness” of their brand, but let them develop the final image and messaging so that it spoke more truthfully to their audience. Now that you’re ready to build some new partnerships, here are some effective techniques for working successfully with influencers. Many influencers want the inside scoop on what’s happening with your business, especially once they have been working with your brand for a while. In your build phase, use them as test users and get their feedback on early prototypes. If they contribute to your product’s success, they are far more likely to share it. This is why Squarespace launched the Circle, an exclusive forum for the designers, developers, and others who build websites for themselves and clients using the platform. Circle members get access to extended trial periods, exclusive content, and product release updates. Squarespace’s Circle forum — users get access to extended trial periods, exclusive content, and product release updates. Influencers crave recognition. Just as they talk about you on their platform, you can feature them on your website, social media, or blog posts. Make it a two-way street. 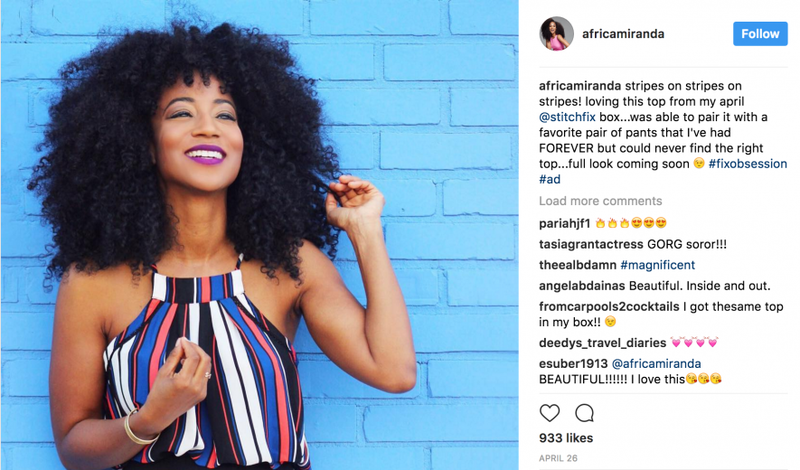 Subscription clothing brand StitchFix partners with fashion bloggers like Africa Miranda. Africa Miranda regularly tweets, Instagram, and blogs about her latest and greatest StitchFix items. In return, StitchFix highlights her and other influencers in blog posts like 13 Ways to Wear Plaid Like a Blogger. Besides making the influencer feel great, and promoting her to the rest of StitchFix’s audience, this blog demonstrates StitchFix’s “hipness” as a brand: they’re in with all of these fashion bloggers — an important trait for a fashion brand. Similarly, Axe Hair identified a select group of male influencers and dubbed them AXE Hair Creators. The group of actors, fashion bloggers, and otherwise stylish dudes share videos and photos with tips on how they style their hair. For many of their fans, influencers are trendsetters, role models, and thought leaders. Lean into that. Interview them for your blog or do a Facebook video together. Allow them to provide their expertise on a topic and bring value to your audience. One popular way to do this is with an expert roundup. Choose a question that’s frequently asked by your customers, and ask your influencers for their advice. For example, Sumo is a WordPress plugin that helps bloggers grow their email list. Many of their customers are using WordPress and email lists to build passive incomes and grow their brand. As such, they regularly interview influencers who are famous for living off of passive income strategies, such as Chris Guillebeau and Sujan Patel. Example of positioning influencer as thought leaders, from Sumo. Thought-leading content informs your audience and helps them achieve their goals. Providing it through the voice of an influencer endears them to your brand. If you want to create content that demands attention, look to an influencer. They are pros at creating visually appealing, thought-provoking content that makes people engage with them. Collaborate with them as you develop your next social media campaign or determine the content supporting your next product launch. 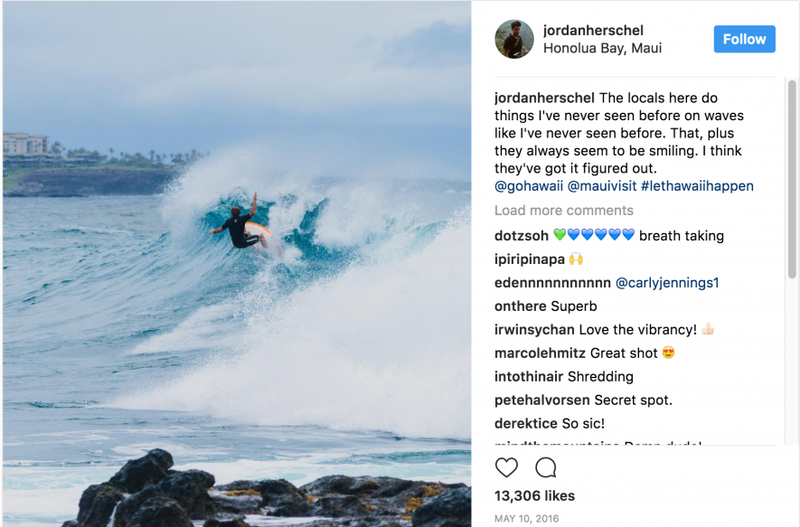 With their #LetHawaiiHappen campaign, the Hawaiian Tourism Authority proved influencer marketing isn’t just for product companies. They recognized that Instagram is about capturing moments in time — experiences — as well. They worked with travel bloggers who shared photos of themselves enjoying all the unique experiences Hawaii has to offer. When Hallmark released their Keepsake Ornament Collection, they tapped into the ideal demographic: parents and families who want a physical keepsake memorializing their latest celebration together. 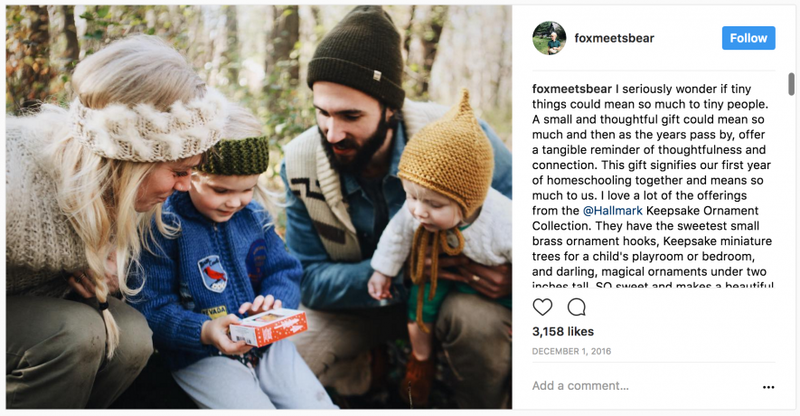 They gave ornaments to mommy bloggers and family-focused influencers, who then posted stories about their lives along with a photo of them enjoying the keepsake ornament. These sparked a ton of engagement because the Instagrammers shared an intimate moment with their fans, which felt genuine and heartfelt. It wasn’t just another standard sponsored post where the product is positioned against a pretty background. Everybody loves a freebie, but influencers love something even more: freebies that they can share with their fans. Whether it is a free gift, a contest, or an exclusive promo code, give your influencer something from your brand that makes them look like a hero. Take a cue from Blue Apron. 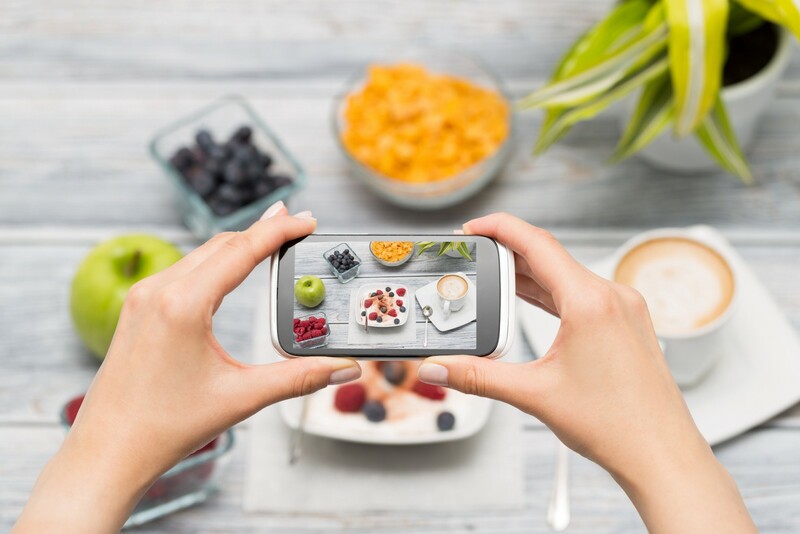 They know that no one is better than a food blogger when it comes to presenting cooking in a way their readers love to digest (pun intended). Blue Apron reached out to influential food bloggers like Anne of fANNEtastic food who blogged about their experience following the recipes and shared special promo codes with their readers. You can also use influencer marketing platforms like Dealspotr to more easily run campaigns involving freebies and discounts codes with dozens or even hundreds of influencers. 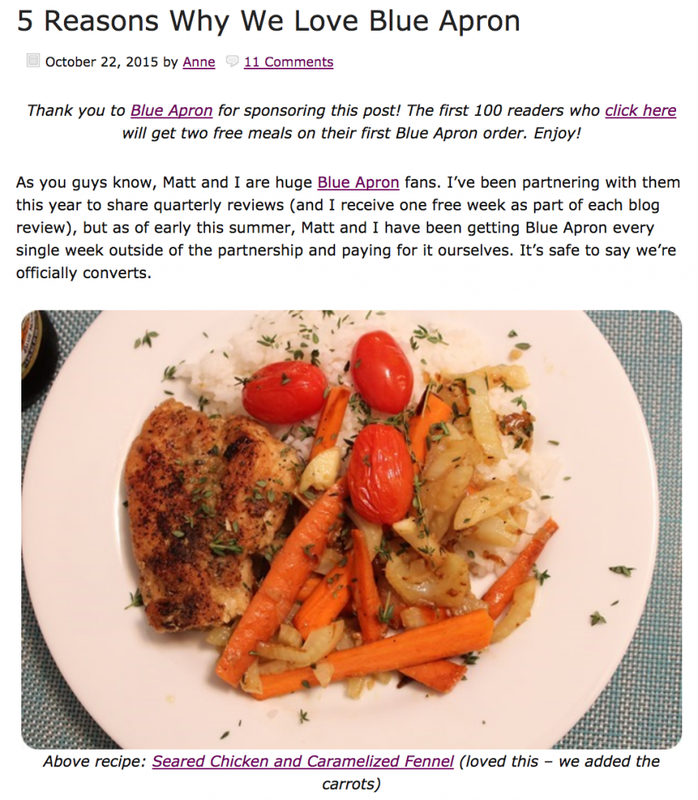 Anne of fANNEtastic food blogging about Blue Apron in a sponsored post. When it comes to working with influencers, you will be more successful if you provide value for them beyond the cash transaction. Not only will involving, instead of pitching, hook you more influencers in the first place, it will also keep them around for much longer. Enjoy a happy partnership together for a long time — promoting your brand and theirs!